In this post you will find some good sources of PMP mock Exams and tips to succeed in the real test. This is the second part of the multi-part post wherein I have shared Brad Ferrell’s PMP exam prep experience in his own words. In this part he talks about the importance of practice questions and shares why he chose Christopher Scordo PMP Mock Questions over the other sources. He has also shares his first scores in the PMP mock exams. 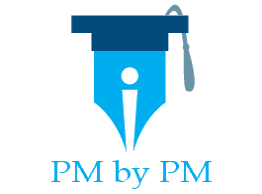 Previous Post – How To Use The PMBOK Guide For Exam Preparation? Give me mental repetitions of how long I should be spending on each question. Am I taking around a minute on most questions or am I taking 2-3 minutes? Give me an idea what some of the calculation questions will look like. That is, questions regarding earned value analysis, float time, and critical path. Show me which knowledge areas I need to improve. Improve my mental capacity in answer exam questions under duress. So as I researched the best prep material on the market, some of the popular names that stood out were Rita Mulcahy’s PMP Exam Prep 8th Edition & Kim Heldman’s PMP® Guide. There are numerous resources out there and some are better than others. In fact, here is an article comparing Rita’s & Kim’s guides. It basically comes down to what your needs are and the type of budget you’re on. If you’re trying to stretch a dollar, then you’ve come to the right place. In the end of I decided to go with Christopher Scordo’s PMP Exam Prep for it contained 1000’s of exam questions and explanations. Reading the reviews was interesting because much of the backlash were editorial and grammar mistakes in the explanations, but these were far few and in between in my opinion. Before I dove in and starting taking all the exams in Christopher Scordo’s guide, I wanted to be fair to myself and read the entire PMBPOK. So throughout the entire month of July 2017, this is all I did. Even though I do try to read a book per month in my spare time, I would not consider myself a speed reader by any means. But if you stick with it, you should be able to read the PMBOK in a month. Since you’re really studying this book and not reading, I did have my highlighter(s) readily available and wrote in notes wherever necessary. Be well-rested when answering exam questions. This is tough to do when you have four and five year old boys, as well as a full work schedule. My mind was racing constantly, especially in the middle of the night. Sleep was not my best friend. Have confidence. This comes through repetition and practice. Have a clear head, but be able to concentrate when reading the exam questions. Being well-rested helps promote this, but I can’t state it enough not to burn yourself out during exam prep. Pulling all-nighters days before your exam is not going to do you any favors. If after a few hours of studying and you reach the point of no returns, TAKE THE REST OF THE DAY OFF. Which PMP mock exams did you do? Or you intend to do? Did you practice using paid tests? Do you think paid tests improve chances of success? What Is The Passing Score For PMP?